The 151st death anniversary of Thyagaraja Swamy who is one of the Trinity of Indian classical music saints, falling on Jan 6 is an important date for Indian classical musicians. Thousands of leading musicians from all over the world gather on this day at his samadhi in Tiruvaiyaru in Tanjavur, India located by the banks of the Kaveri river where the great saint lived and composed some of his greatest works. At this gathering referred to as the Thyagaraja Aaradhana festival, maestros join together to sing the saint’s compositions starting with the Pancaratna Kirtis. The Pancaratna Kirtis which are the five gems of the saint’s hundreds of compositions were according to author of `Pancaratna Kirtis – Meanings and Significance’, Gomatam Dwarakanath, meant to be living guidelines. 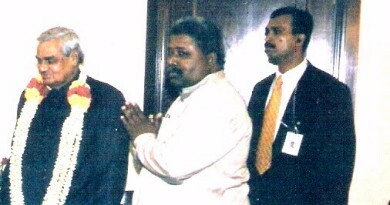 The retired Associate Editor of The Hindu newspaper is quoted saying that the first song Jagadhanandha Kaaraka is a simple prayer for Lord Rama’s blessing; the second Duduku Gala outlines the saint’s anxiety that he would miss Rama’s blessing due to inexcusable wrongdoings; the third, Saadinchene is to remove the anxiety by considering that the Lord would even go against his own earlier teachings to protect his devotee. The fourth kirti, Kana kana ruchira talks of his renewed faith in the Lord’s affection with the last Endaro Mahanubhavulu listing ancient devotees who surrendered to the Lord and were beacons for other suffering souls. 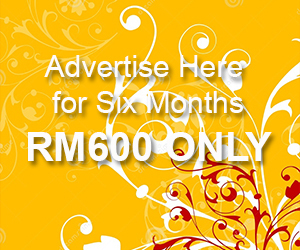 In keeping alive this rich tradition, musicians and music lovers in Malaysia organised the Aradhana festival in several places. 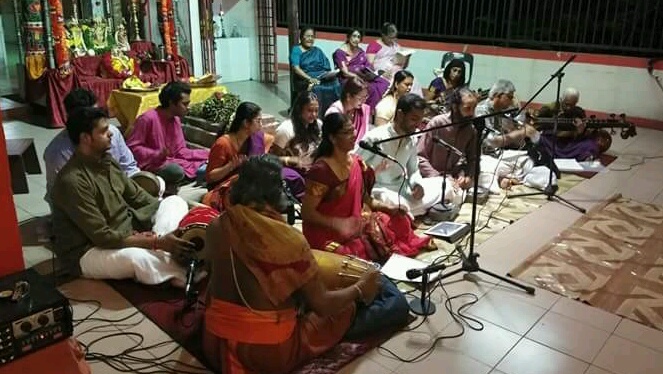 I was at the Taman Sutera Sivan Temple on Jan. 6 to attend the Thyagaraja Aaradhana festival held there annually by the Sruthi Laya Ghaana Vidhyalaya Academy. The academy is run by the husband and wife team of mridangam vidwan Sivasri T.A. Jegathesan Sharma and Carnatic singer Barathi Sharma assisted by their sons, Pratap and Arvind who play the ganjeera and mridangam respectively. A small group of Kuala Lumpur based musicians took part in the festival which included individual performances by concert artistes including Bharati and Professor S. Venkateswaran and his disciple Jayalakshmy Rajkumar. Several budding musicians and academy students were also given the exposure at the festival to glorify Thygaraja by performing his compositions. On Jan. 13 and 14, the Sanggeethalayam association held a grand two-day Aaradhana festival at the Kalamandapam hall in Brickfields attended by young and veteran musicians in the city. 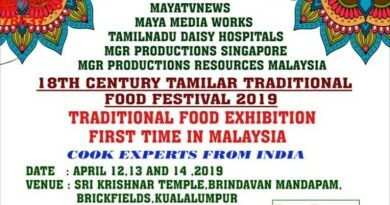 The festival was organised by Sangeethalayam in collaboration with The Malaysian Ceylon Saivites Association and Netaji Subhash Chandra Bose Indian Cultural Centre (ICC), High Commission of India. The ICC had on Jan 7 held its own Aaradhana festival at its premises involving music teacher A.V.S Sundararajan and his students.